Separating a divorcing couple’s finances is one of the most difficult and complex parts of the divorce process. Assets, debts, property and other possessions that have been accumulated when a couple was married have to be split up equitably and this process is never easy. One tool for helping a couple fairly divide their finances in order to move forward with their lives separately is what is known as a Financial Early Neutral Evaluation. 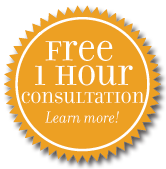 Johnson Mediation offers professional mediation services that cover the full range of divorce mediation issues. Our team specializes in offering Financial Early Neutral Evaluation in hopes that this information will help a couple reach a settlement so that they can begin to move forward with their life. The main purpose of the Financial Early Neutral Evaluation is to give the divorcing couple neutral information about their financial circumstances so that resolution may be reached more easily. This process is completely voluntary and the goal is to save couples time and money that can be spent on a lengthy court battle. A close examination of the couple’s financial situation is essential so that the evaluation is accurate and can be trusted. Financial Early Neutral Evaluations are often completed when a couple has children who will be affected by their parents’ divorce. One or more unanswered questions about the couple’s finances can prompt the court to set in motion an evaluation of the couple’s financial circumstances. When this occurs, the couple may choose from a list of recommended Early Neutral Evaluators to answer the questions raised by the judge and to reach resolution of the remaining issues related to their financial situation. The entire process will take no longer than 60 days, and at that point, you will either reach an agreement or inform the court that no progress was made. In addition to financial early neutral evaluation, Johnson Mediation also provides similar services in the area of Social Early Neutral Evaluation. When child custody and parenting time issues are present between divorcing parents, it may be necessary for a dispute resolution process, known as Social Early Neutral Evaluation, to be ordered. The Social Early Neutral Evaluation process is characterized by its short-term, confidential nature. It is designed to evaluate the capacity of the divorcing parties to resolve disputes related to child custody and parenting time (or visitation). 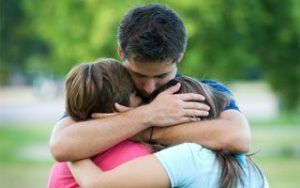 Johnson Mediation has extensive experience helping families navigate divorce in all kinds of circumstances. If you need divorce mediation services of any kind, including a Financial Early Neutral Evaluation, call our team at 952-401-7599 for more information.